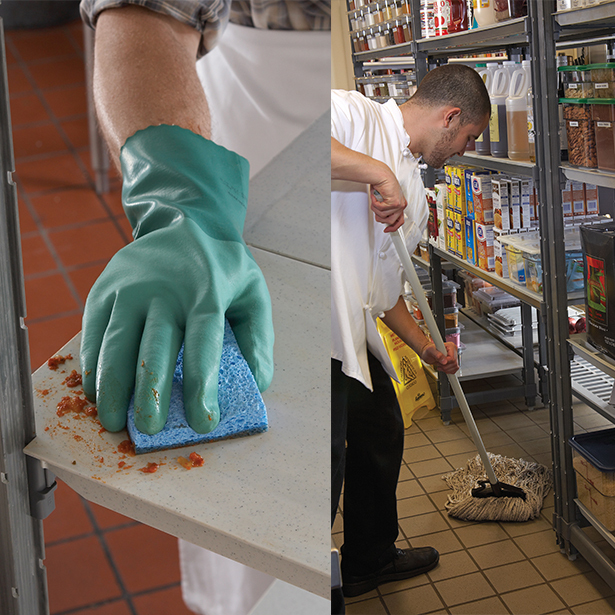 We recently shared some ideas on how Cambro Shelving can help improve cleaning habits and streamline your cleaning schedule. The removable shelf plates can drastically help improve efficiency in your kitchen and free up some much needed time. If you’ve taken a quick glance around your storage rooms, you may be thinking it’s time for a few changes to your weekly cleaning schedule and to the way you’ve been cleaning your storage equipment. Enter this week’s Storage Space Cleaning Contest and let Cambro help jumpstart your new cleaning routine! The Prize: Two participants will be randomly selected to win a Cambro 4-Shelf Starter Unit with removable shelf plates. Cambro will also include a warewashing rack to help kick-start your new and improved cleaning habits. Winners will be announced Friday, October 10, 2014. Entries accepted until Thursday, October 9th 11:59pm PST. One entry per person. Cambro wants to help you set up your kitchen for maximum labor efficiency, food safety and functionality. Enter the Storage Space Cleaning Contest and Pro Up your cleaning schedule today! The thing I dislike most about cleaning my storage is the fact that I’m really bad when it comes to organization. Your site will definitely help me to make my cleaning routine better! Thanks for the comment Lilly. Glad we could help – feel free to share any ideas or updates with us on twitter or facebook! Thanks again! Sadly , I missed that! I’ve been using Cambro containers for years. I just bought this round 6 quart to make my dough for Artisan Bread In Five Minutes. I have the square containers, but the round is easier to use as the dough doesn’t get trapped in the corners.